The new musical A Sign of the Times had a second production at the Delaware Theatre Company at the end of 2018, with a superb cast led by Chilean Kennedy. The orchestra was expanded to ten pieces, so I finally got to plug in some real horns and percussion! My dear friends and longtime colleagues Rick Fox and Gabriel Barre continue in their work as Music Director and Director; Joann Hunter is our fabulous choreographer, and Bruce Vilanch’s book tells the story with style, humor, and 60s panache! A dream team indeed! 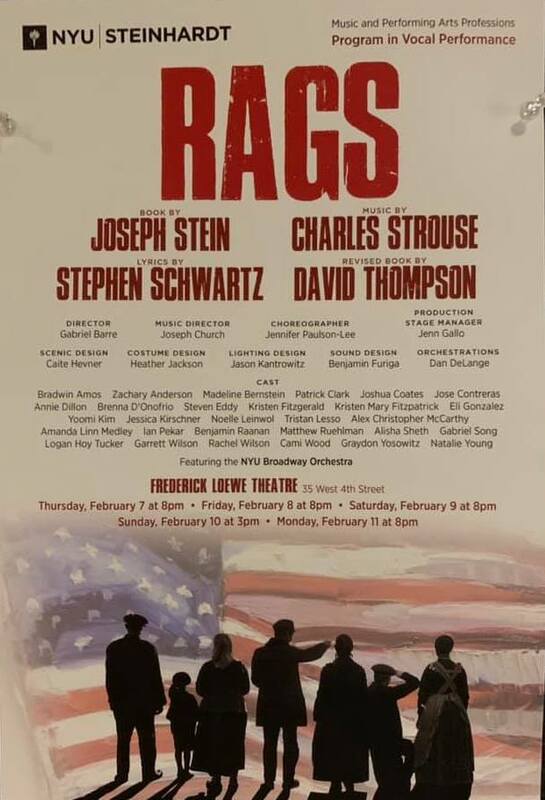 Up next, the NYU-Steinhardt production of the legendary musical Rags, directed again by Gabe Barre and given a fresh look by writers Stephen Schwartz and David Thompson. It’s a marvelous student cast and orchestra (with stunning orchestrations by Dan DeLange), and a show whose time has truly come. After that, I’m on to a workshop (as music supervisor) of the new musical Bhangin’ It, a Bhangra dance musical with authentic choreography by Rujuta Vaidya, a super-hip score by Sam Willmott, and a delightful book by Rehana Lew Mizra and Mike Lew. Amy Corcoran is our marvelous director. And just down the line, coming October 1, 2019, look for my new book from Oxford University Press, called Rock in the Musical Theatre: A Guide for Singers. More to follow! 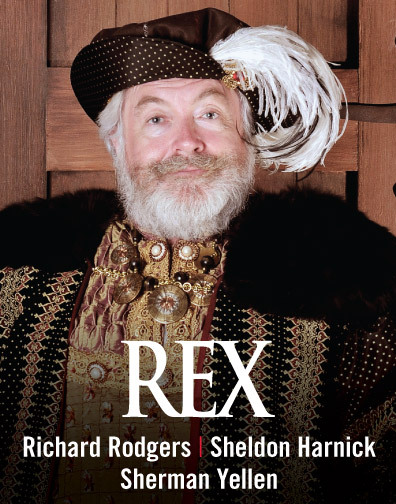 In July 2017, the Utah Festival of Opera and Musical Theatre revived the musical REX, with Sheldon's lyrics, a revised book by Sherman Yellen, and music by Richard Rodgers. 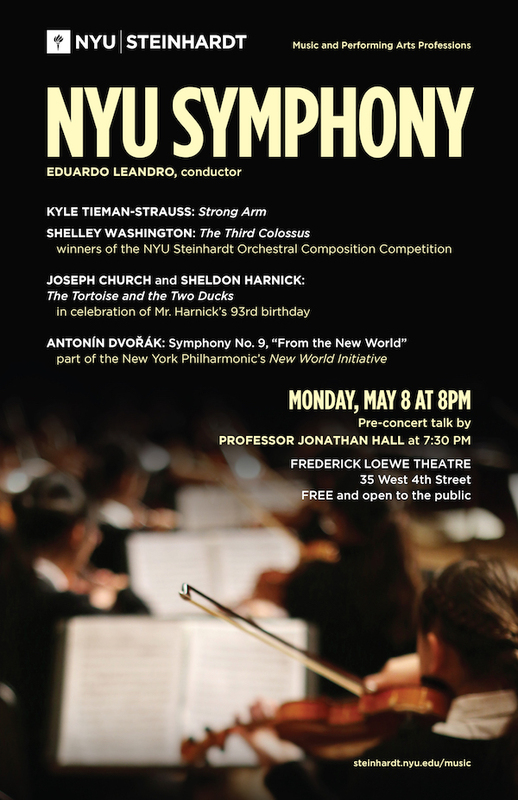 I was honored to re-orchestrate the show for a period-style orchestra (okay, I used a synthesizer for the keyboards...). The team, and the Rodgers and Hammerstein Library, are eager to find more production opportunities for the show. This was the second Harnick musical I had re-orchestrated; last year was the York Theater's remounted ROTHSCHILD & SONS. My book, MUSIC DIRECTION FOR THE STAGE: A VIEW FROM THE PODIUM is now in its fourth printing from Oxford University Press. I am hard at work on a second book for Oxford-- stay tuned! That’s the news for now. Please stay in touch, and check out my periodic blogs on viewfromthepodium.com.